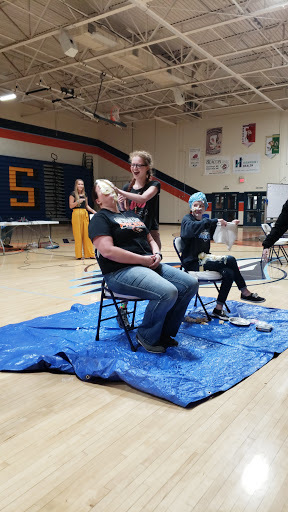 SCHS Students Were Smashing Goals Along with Some Pie This Week to Benefit Riley Children’s Hospital. 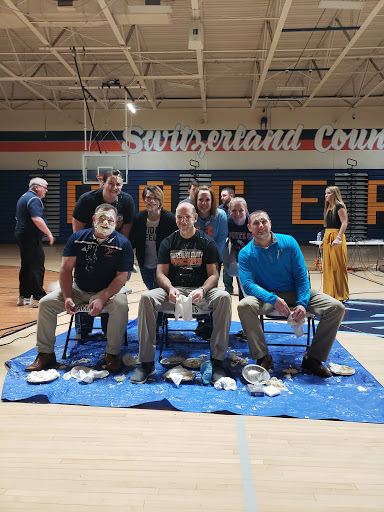 Home|SCHS Students Were Smashing Goals Along with Some Pie This Week to Benefit Riley Children’s Hospital. 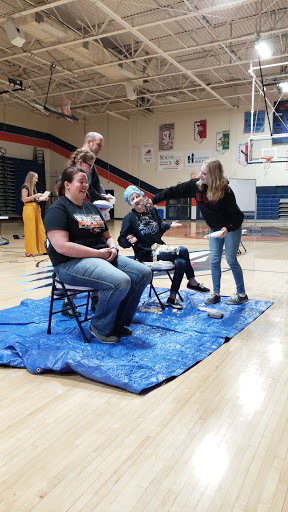 The students and staff were taking part in the “Penny War”. 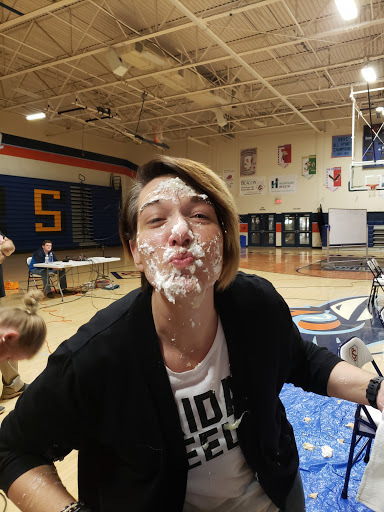 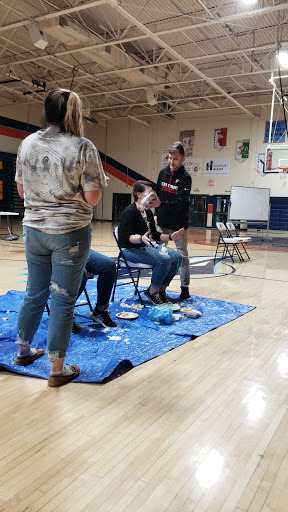 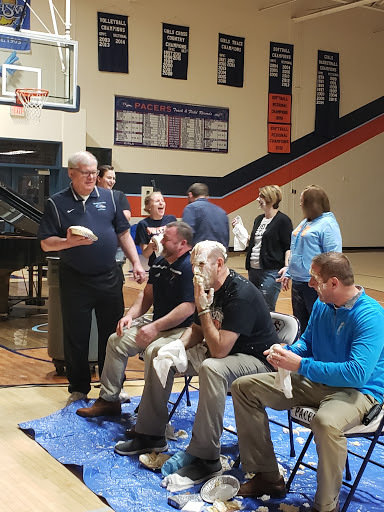 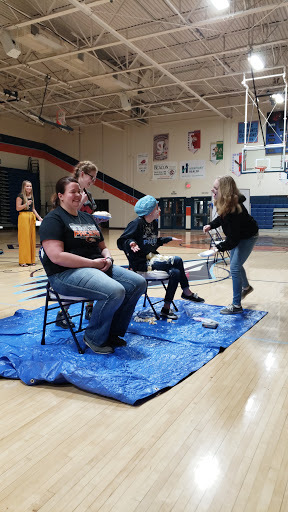 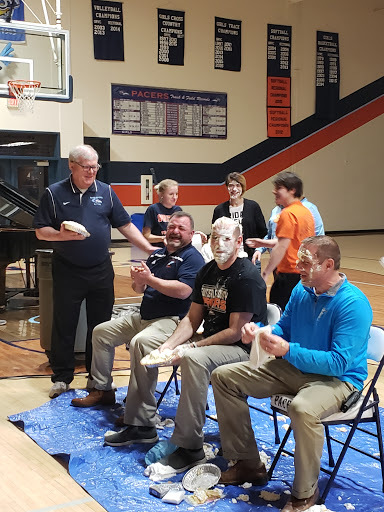 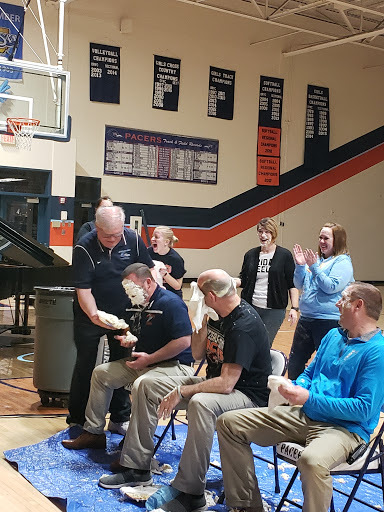 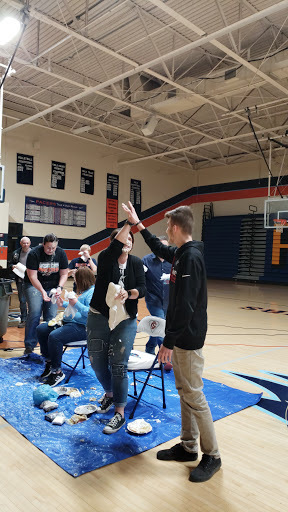 The penny war not only allows the school to raise funds for Riley’s Hospital but also gives the students a little local fun as well, with a goal of being able to smash some pies into teacher’s and hopefully some administrator’s faces. 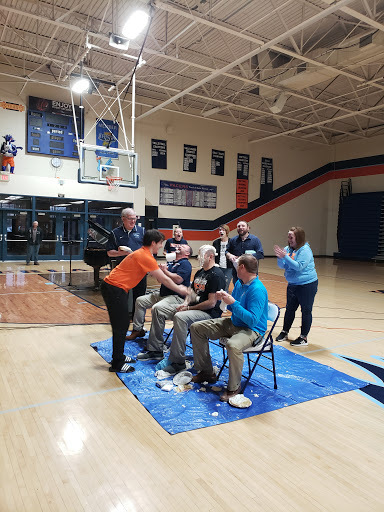 The school was able to raise over $1000! 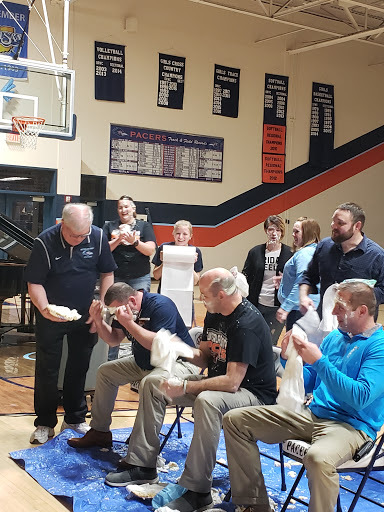 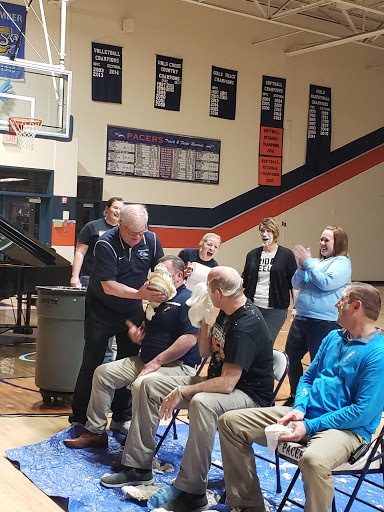 That $1000 dollars meant that not only would Principal David Todd and AD Mark Boggs be pied, but also Superintendent Rod Hite! 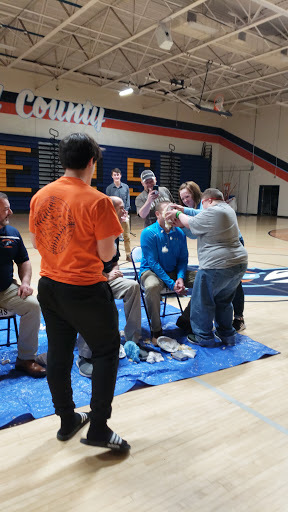 Most people would agree that the winner of the day was Mr. Todd, who thought he was making a safe choice by choosing an exchange student to pie him in the face. 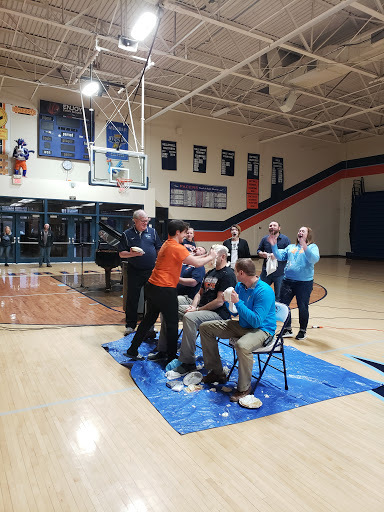 That backfired on him as, I am assuming, the student figured if he didn’t have any hair on top of his head, he should at least have a pie there. 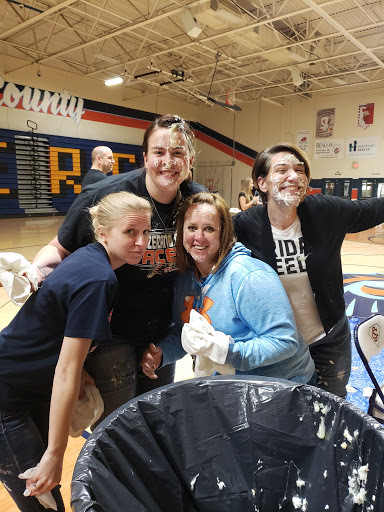 It was a great last day before Spring Break and all the students and staff had a lot of fun at the event. 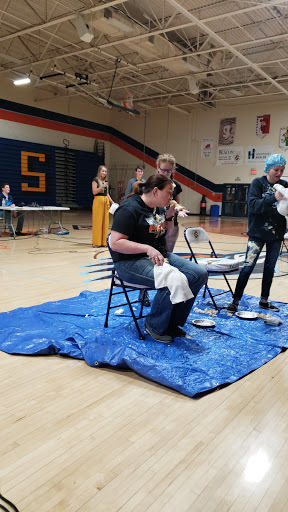 How the penny war works:Pennies and Checks (made out to SCHS) count as positive for the grade level.Silver coins and bills count as negative for the grade level. 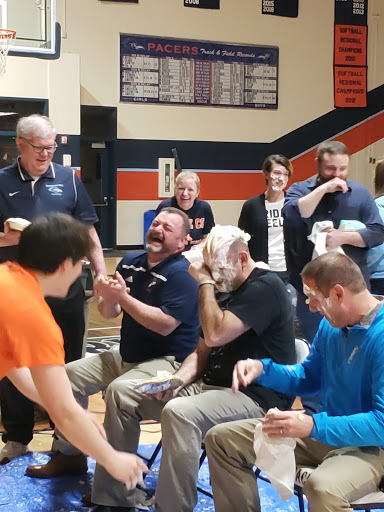 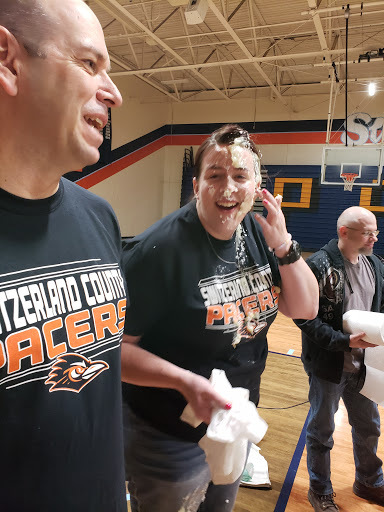 By Angela Grubbs| 2019-03-22T19:23:27-04:00	March 22nd, 2019|Switzerland County High School, Switzerland County School Corporation|Comments Off on SCHS Students Were Smashing Goals Along with Some Pie This Week to Benefit Riley Children’s Hospital.